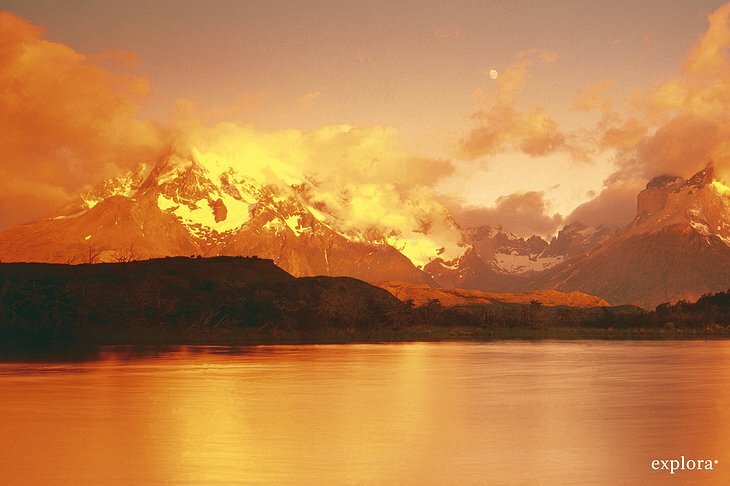 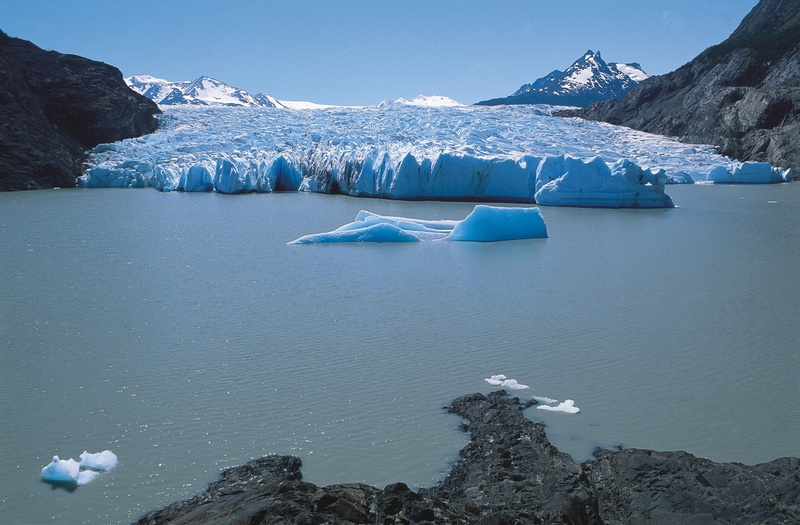 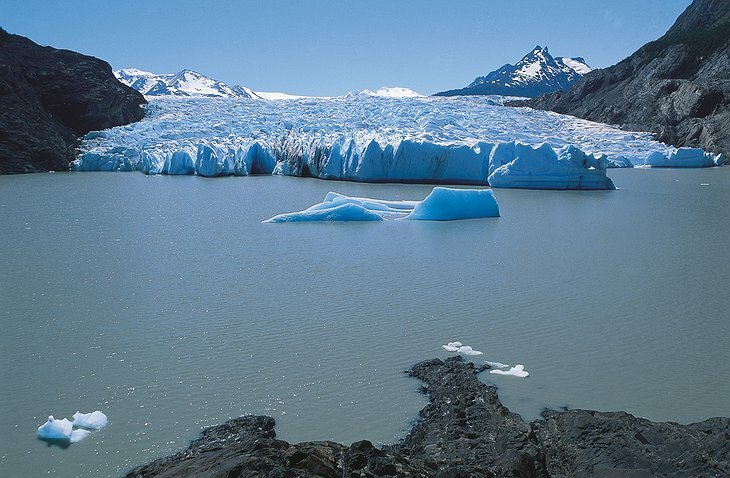 The Patagonia region of Argentina and Chile has been continuously habited since Neolithic times. 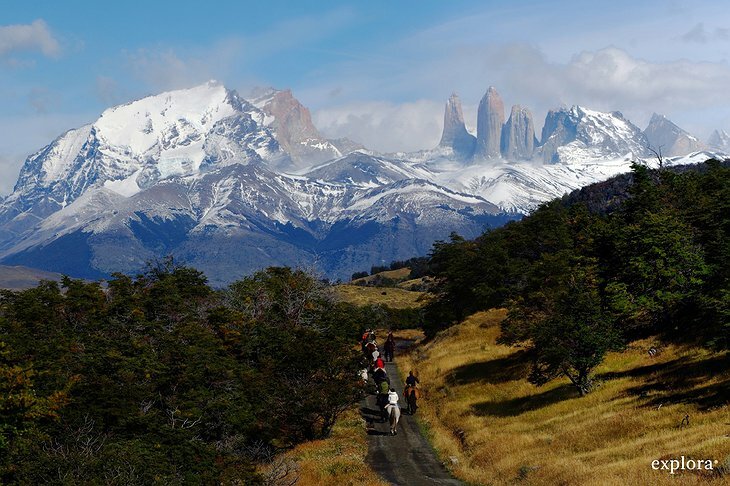 Indeed the nearby caves of Cueva de las Manos are the site of incredible cave paintings, 8000 years old. 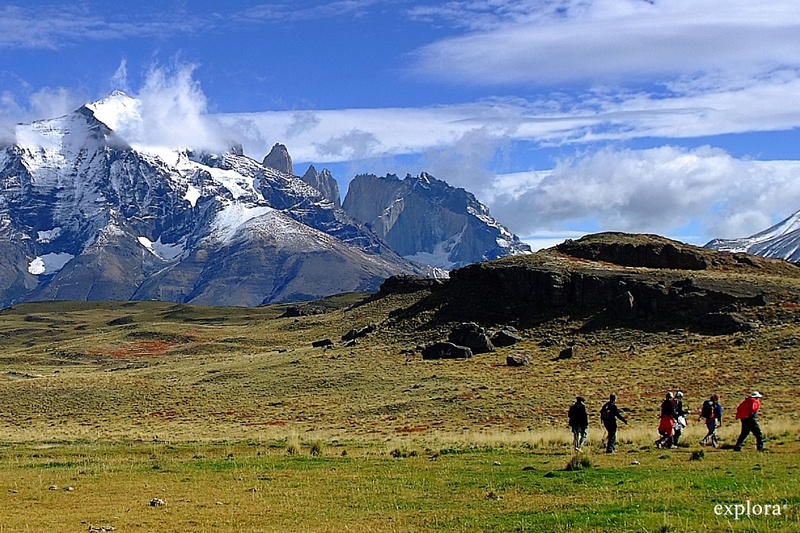 The first Europeans to arrive there told tales of a race of giants and savage humans. 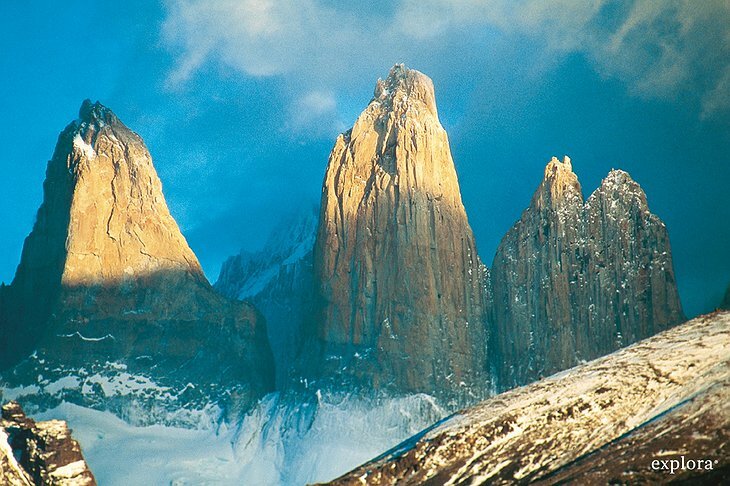 Some say the name Patagonia means ‘land of the big feet’ whereas others say the name refers to the fierce native people of the land. 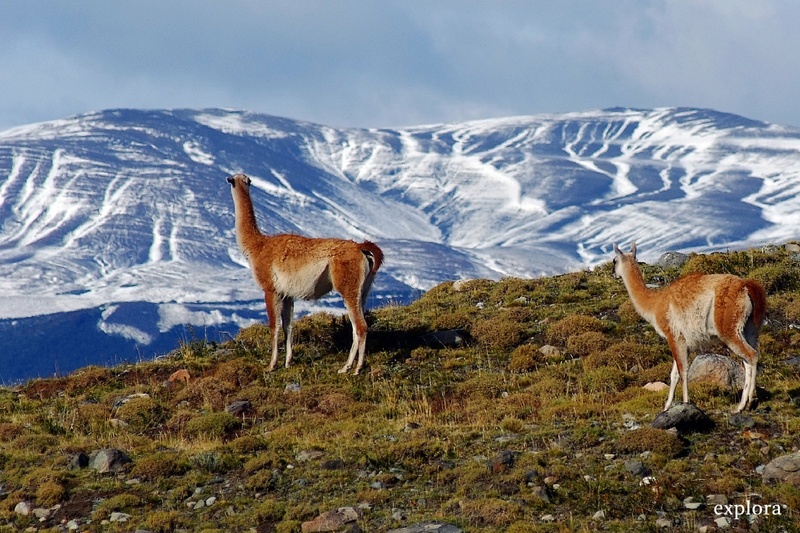 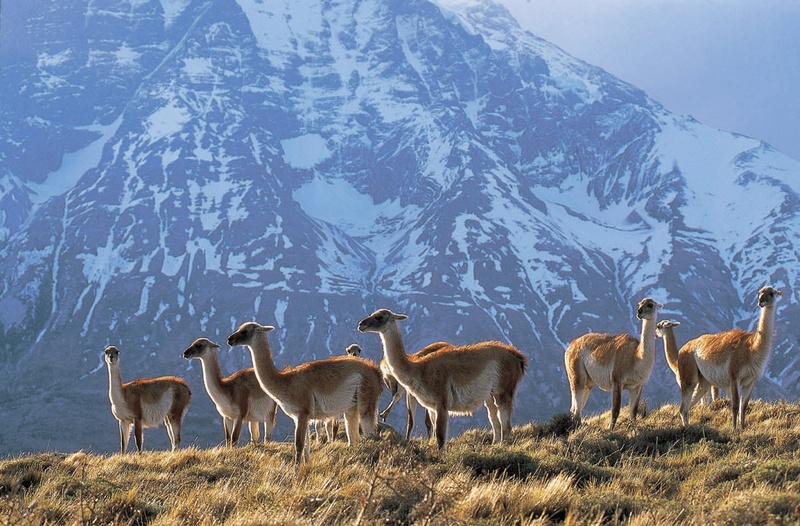 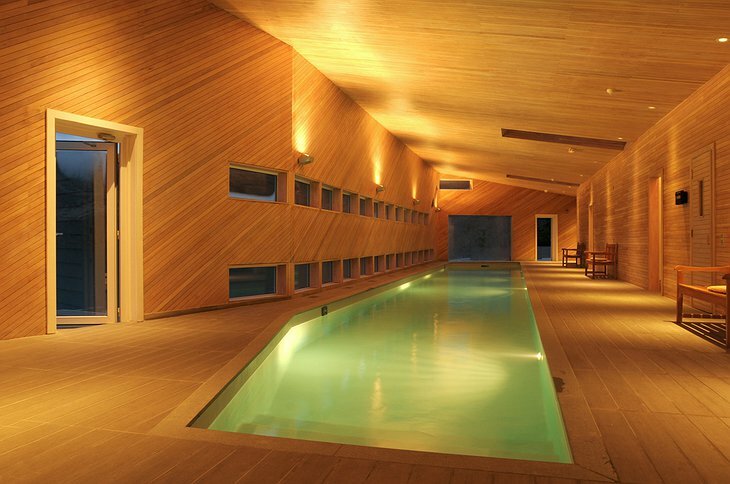 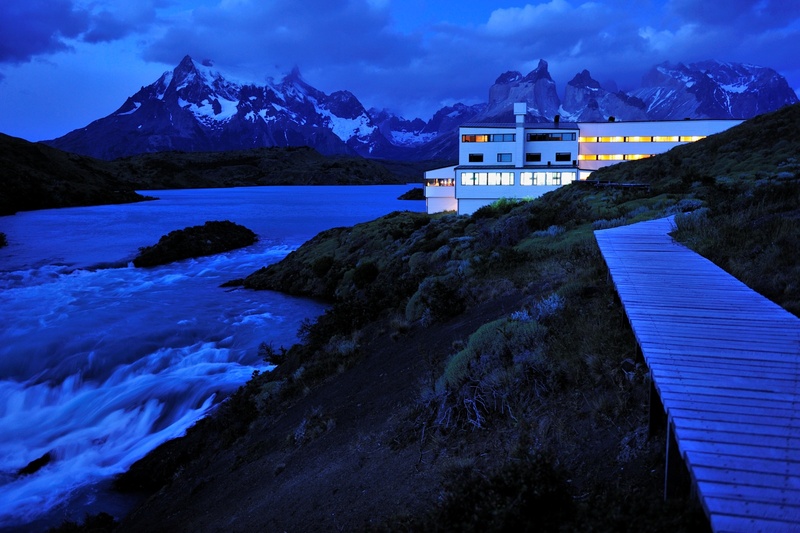 Because of its remote location in the Andes mountains, a vast array of unique wildlife awaits nature lovers who visit or stay at the Patagonia Hotel. 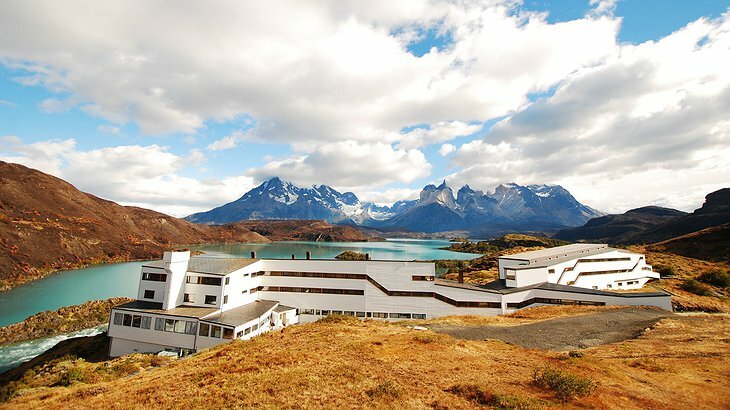 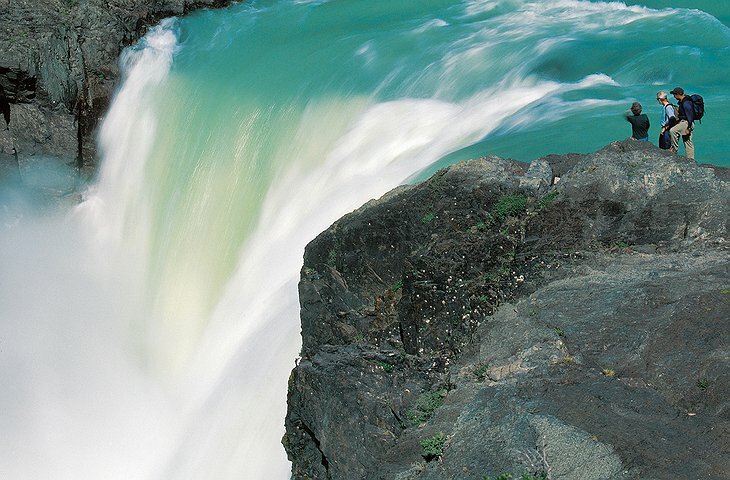 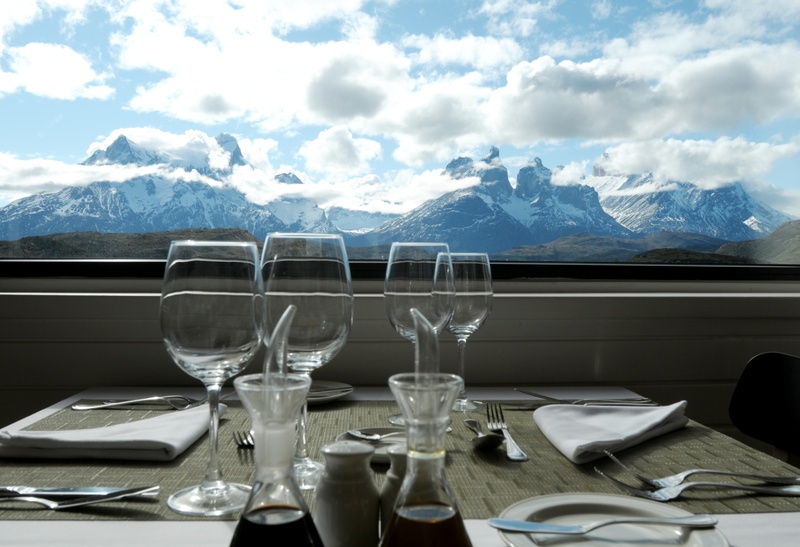 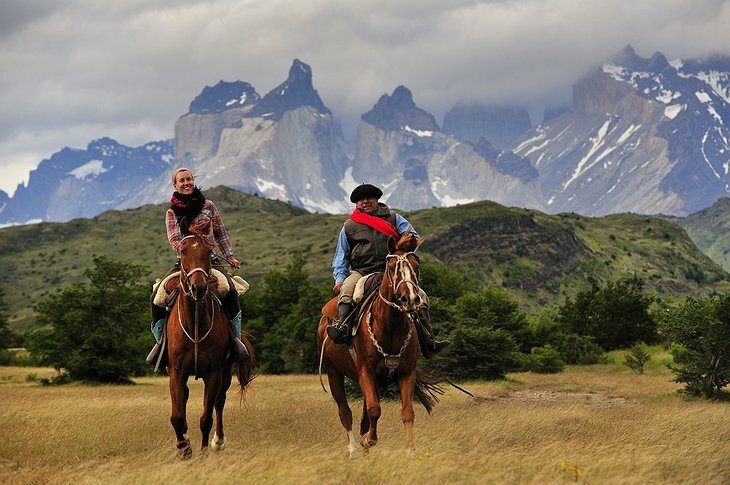 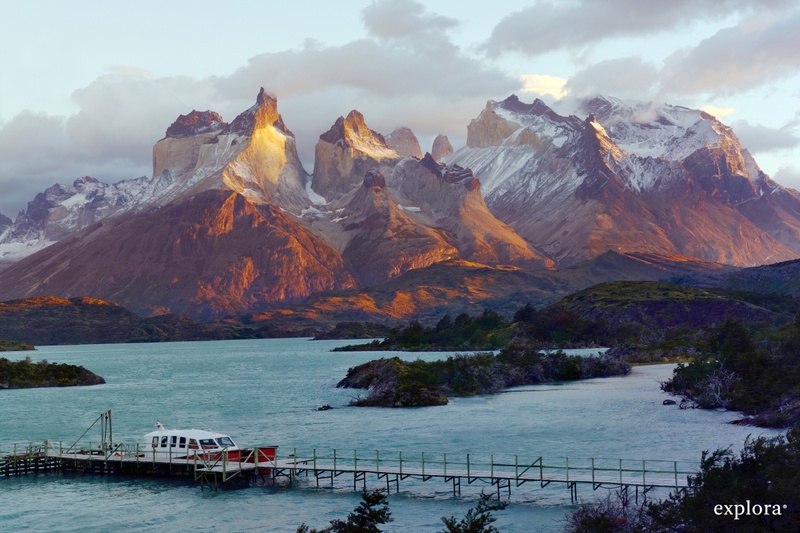 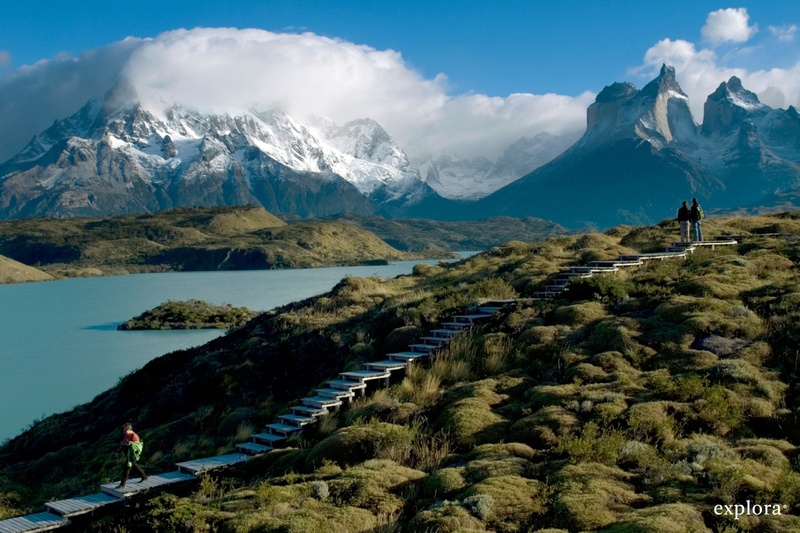 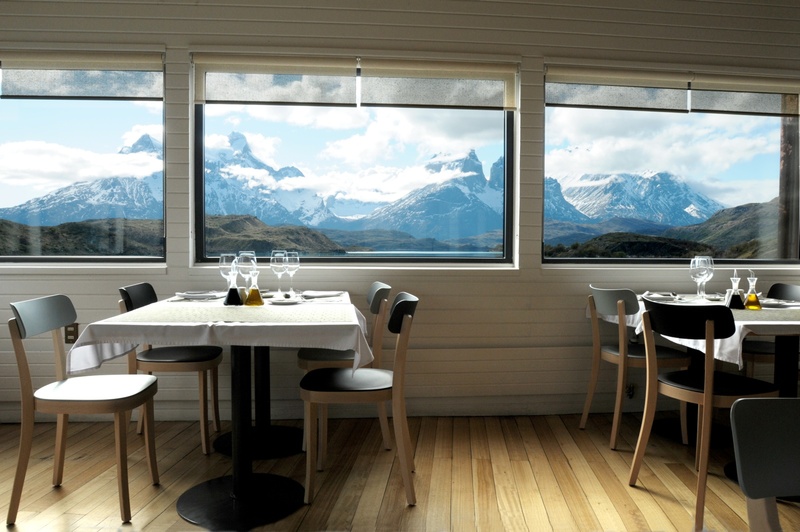 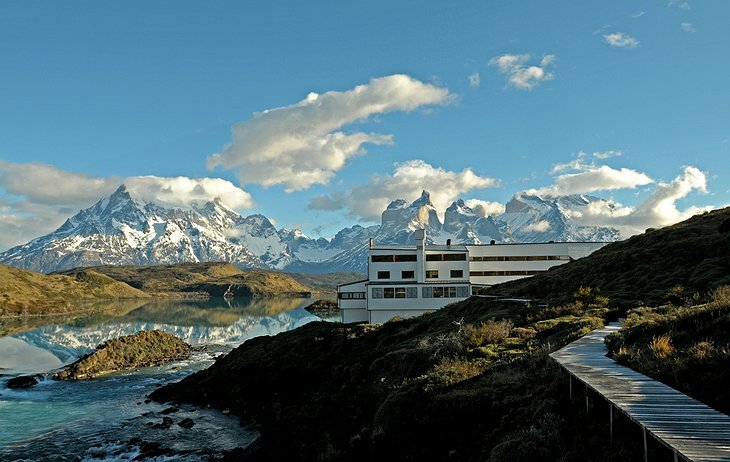 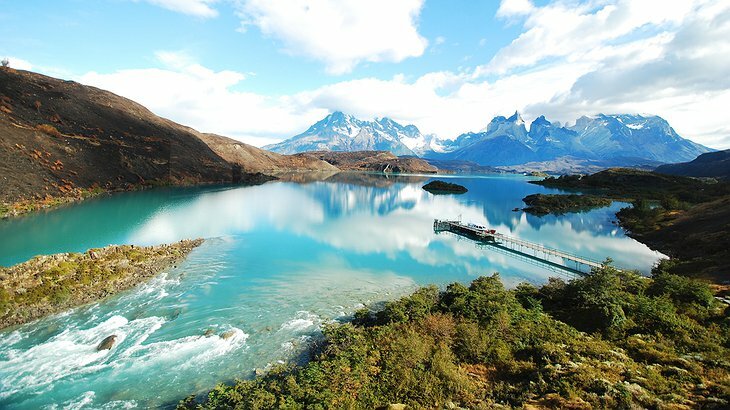 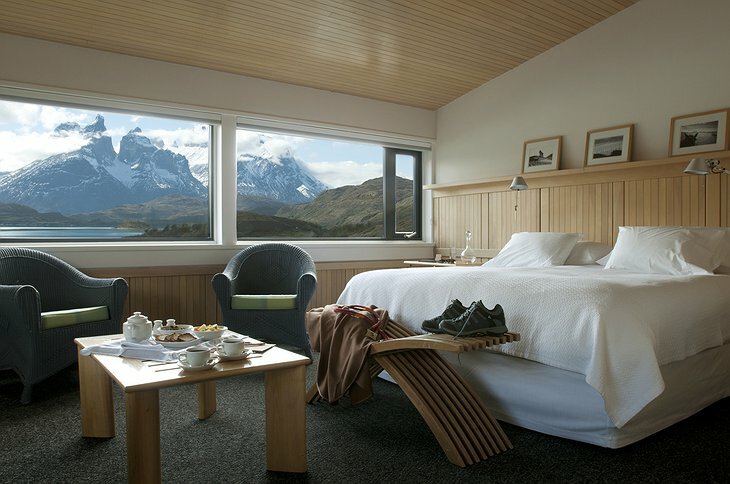 Even though Patagonia is an Argentinean and Chilean territory, Torres del Paine National Park and Hotel Salto Chico Explora Patagonia are both located in Chile. 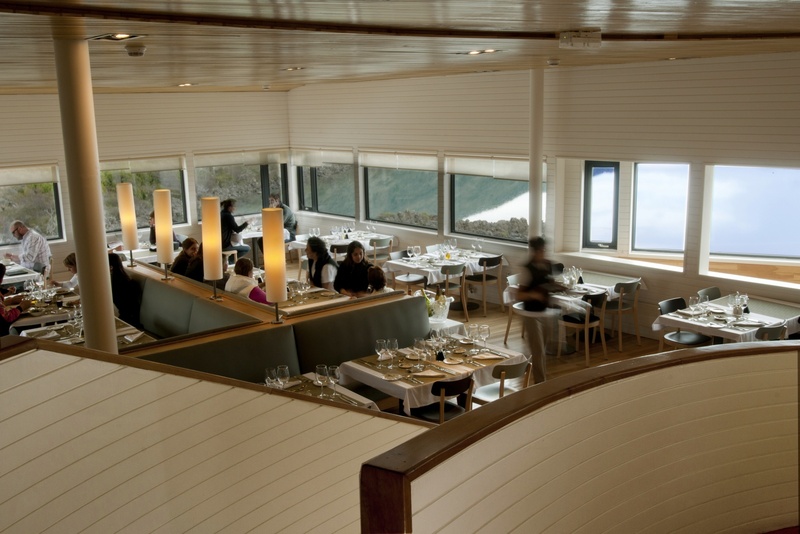 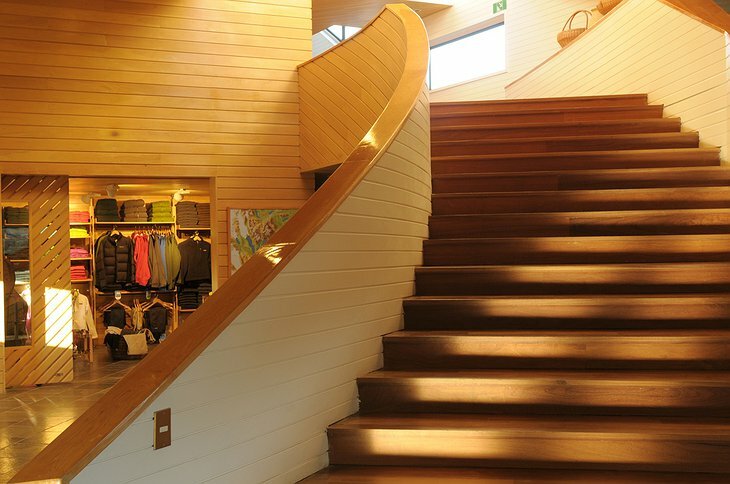 The modern architecture has the hotel blend in with its natural surroundings: white snow and vital green slopes. 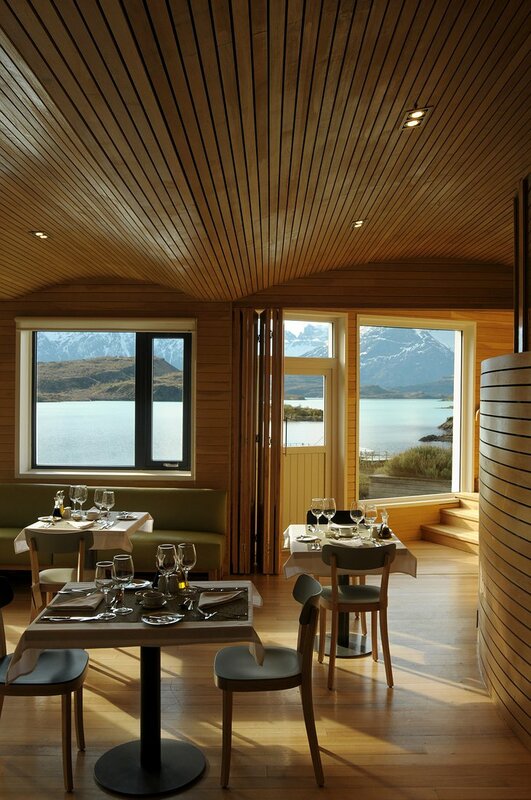 The idea was not to isolate guests from nature by technology but use modern comforts to enhance their explorations of the area. 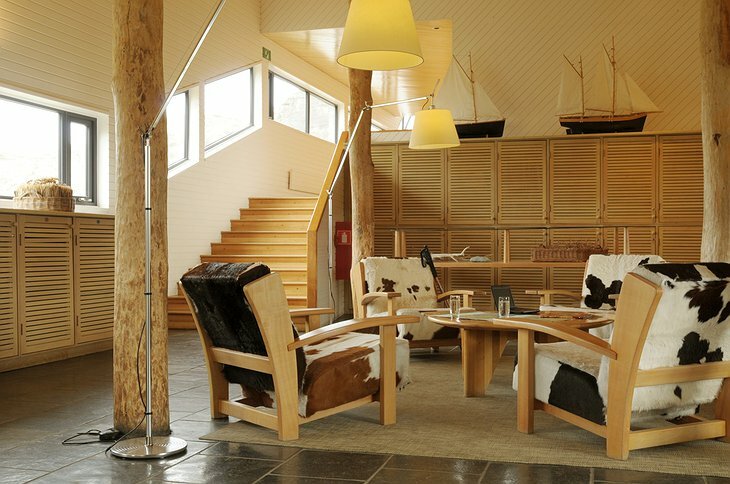 The hotel has a stable full of specially bred horses for guests to ride. 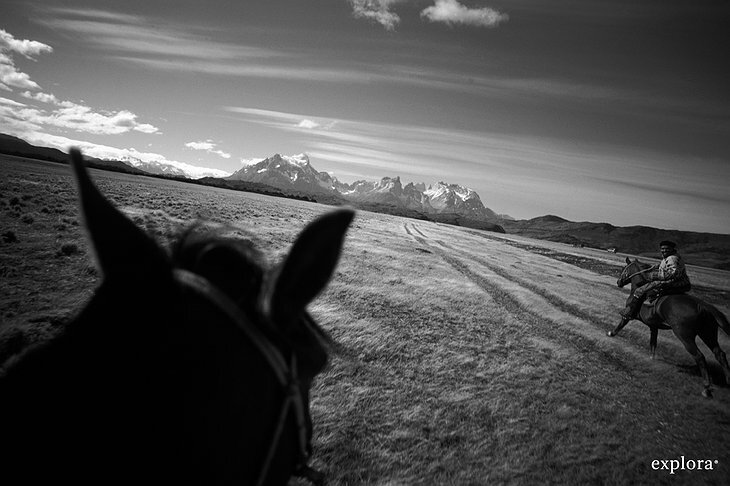 The grassy plains that disappear into a piercingly blue sky make for a riding experience you will not forget. 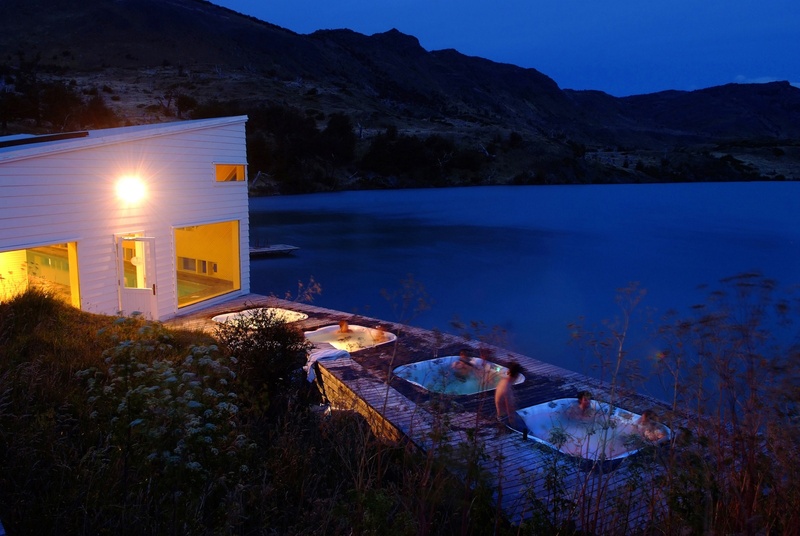 Your room has a massage bath and the unusual luxury of not having a TV.